Whiteboard paint is a fantastic way of adding a funky, collaboration friendly environment to your office space. Both large organizations and small business enterprises can benefit from decking out a wall in this versatile coating. More and more companies are using it today. Let’s face it, a whole section of wall you can write on is much more interesting than the tired old whiteboard, stuck in the corner of a meeting room. Because of the increase in popularity, there are a number of brands now manufacturing whiteboard paint. 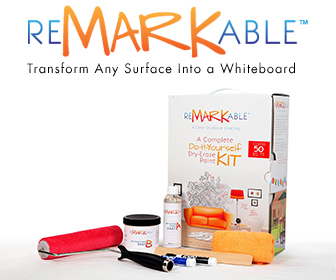 We recently reviewed 5 of best whiteboard paint products currently on the market here. The results of our tests can be viewed in the table below. In the video below you can also watch a comparison of 3 of the leaders in the field.